On Sunday March 12, we will be meeting at TAS for Breakfast and announcements. After that, we will work out carpooling to support the Purim Carnival at Temple Ramat Zion. We hope that all of our regular attendees will be able to volunteer and help. The carnival will be held at Ramat Zion. White Oak Ave. will be closed in in front of Ramat Zion for it. There will be Kosher food trucks. Ramat Zion will also provide Kosher Pizzas. We will be serving food and providing general assistance. We will also be running a game booth. NCAA/Basketball Squares are on Sale! The NCAA finals are rapidly approaching — have you created your brackets. Within MoTAS, the NCAA Basketball championships mean it is time for Basketball Squares. This year, we’ve added something new: We’re “Squaring” both the Men’s and the Women’s Semi-Final and Final Games. You’ll have six games, meaning 12 opportunities to win, for only $36 a square! The procedure is very similar to the Superbowl Squares. Basketball Squares cover the last three games in each of the Men’s and Women’s NCAA championships: the Women’s semifinal and final games on March 31 and April 2, and the Men’s semifinal and final games on April 1 and April 3, 2017. Squares are $36, and adults may purchase up to 3 squares for themselves, and 3 squares for their partner. Payouts are $150 for both the halftime and final scores of each game. You can win once or twice in a game. If the board is not fully subscribed, the payout is proportional based on the number of subscribed squares. To address the possibility that all 100 squares might not be subscribed, the following is the procedure for empty squares that win: each player will make a guess as to what the total number of points will be (i.e., you add the final scores of both teams). This number will be used to settle all cases, for all games. If you purchase more than one square your “number” will apply for all your squares. Closest to actual score wins (payouts divided with ties). If there is no halftime winner, the final score prediction will still be used. Squares must be purchased by March 29, 2017. Forms will soon be available in the Temple Foyer. You can also print the registration form — or register online — at the usual online home of the Squares program: http://squares.tasnorthridge-motas.org/. 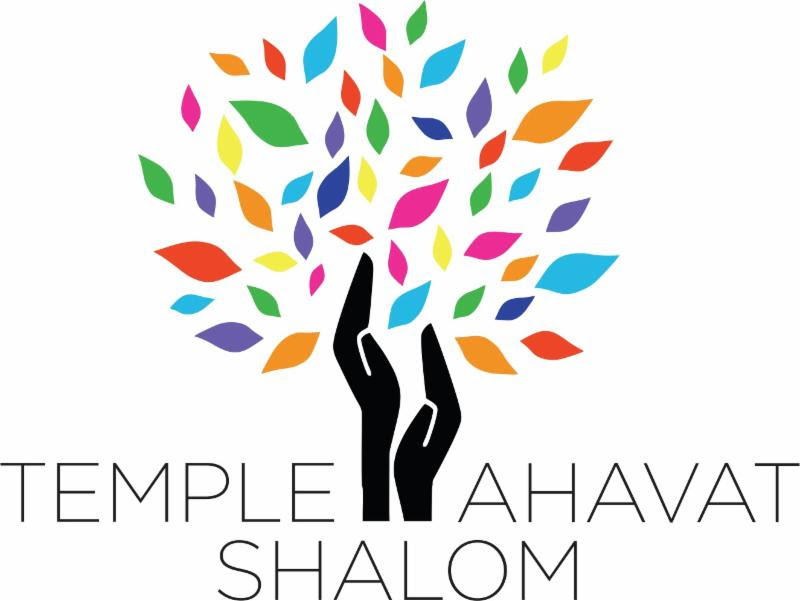 Remember that the real winner is Temple Ahavat Shalom. With a fully subscribed board, $1800 will be available to support specific temple activities, organizations, and projects. By now, you should have received the email with our Annual Appeal message. You can also find the message on our support page at http://support.tasnorthridge-motas.org/. On that page, you can find a printable donation form that you can mail in, as well as a link to contribute online. On Sunday, April 2, you are invited to join the Men of TAS at our annual Mens Seder. This special service and dinner, modeled after the traditional Passover Seder, provides a comfortable and ‘safe’ space for the men of TAS to explore and celebrate what it means to be a contemporary Jewish man. The text of our special haggadah, developed by MRJ and available at http://www.menrj.org/mrj-mens-seder, explores issues that pertain specifically to men; the service and dinner provides a place to take those issues, share them, discuss them, and wrestle with them. NOTE: Our usual coordinator, Mike Thornhill, will be out of town for this event. We are looking for volunteers to help with shopping, Pesach food preparation, and picking up the food. If you can help, please contact Daniel at faigin@cahighways.org. Our Mens Passover Dinner will consists of traditional Passover foods — water, wine, homemade charoset, and more (maybe even gefilte fish) — as well as barbeque chicken and tri-tip (for what man doesn’t love barbeque). At our January MoTAS meeting, we had an energetic discussion about the meaning of the term “Social Justice”, and how different groups view the term very differently. Should “Social Justice” be redistribution by the government to those it deems to be in need, or should it be people helping people that they feel are in need — in other words, what is the role of government, and what is the role of community? Independent of what the government does, what is an individual’s responsibility to others? What does our tradition teach about the different views of social justice from a Jewish perspective. The discussion got so lively that we have decided to devote an upcoming Mens Hangout to the subject. The hangout is now scheduled! Sunday, March 26, 6 PM – 8 PM. RSVP to Dave Friedman at 818-970-7701 or email dave@818myhouse.com. The cost is $12 for a delicious Italian dinner. Our March Dining Does Good” will be March 20 at Souplantation in Porter Ranch in support of MoTAS and TASTY. You can find a flyer for the event at https://wp.tasnorthridge-motas.org/activities/dining/. We really encourage you to come and support these events: we raise a little extra funds for various groups, but more importantly, we come together and break bread as a Temple family on a regular basis. It is a real joy to walk into a neighborhood restaurant and see your Temple friends, to sit down and share a table and talk. This is the heart and goal of MoTAS: Building Relationships. AARP is sponsoring a nation-wide program promoting CarFit and your group has the opportunity of participating in this program at the CHP West Valley Area office. We hope you and your group’s members will want to participate in this program. All you have to do to participate is to call the CHP office at 818-888-0980 and say “I want to register for the CarFit Event.” Appointments will be made at 30 minute intervals. You’ll drive in, enter the vehicle line-up in our parking lot, and our technicians will evaluate you and your car in terms of your driving safety. We’ll have multiple lines and technicians available. Contact Lynn Blumberg, Senior Volunteer Program V58017 at 818-601-0408 or Officer Leland Tang (LTang@chp.ca.gov) for any additional information. CarFit is an educational program that offers older adults the opportunity to check how well their personal vehicles “fit” them. The CarFit program also provides information and materials on community-specific resources that could enhance their safety as drivers, and/or increase their mobility in the community. CarFit is important because while older drivers are often the safest drivers in that they are more likely to wear their seatbelts, and less likely to speed or drink and drive, they are also more likely to be killed or seriously injured when a crash does occur due to the greater fragility of their aging bodies. Driver safety programs improve adult driver safety by addressing cognitive abilities and skills, however, older drivers can also improve their safety by ensuring their cars are properly adjusted for them. A proper fit in one’s car can greatly increase not only the driver’s safety but also the safety of others. At a CarFit event, a team of trained technicians and/or health professionals work with each participant to ensure they “fit” their vehicle properly for maximum comfort and safety. A CarFit check takes approximately 20 minutes to complete. In accordance with the MoTAS bylaws, we are gearing up for the MoTAS election season. If you would be interested in running for the MoTAS Executive Board, please drop a note to faigin@cahighways.org.